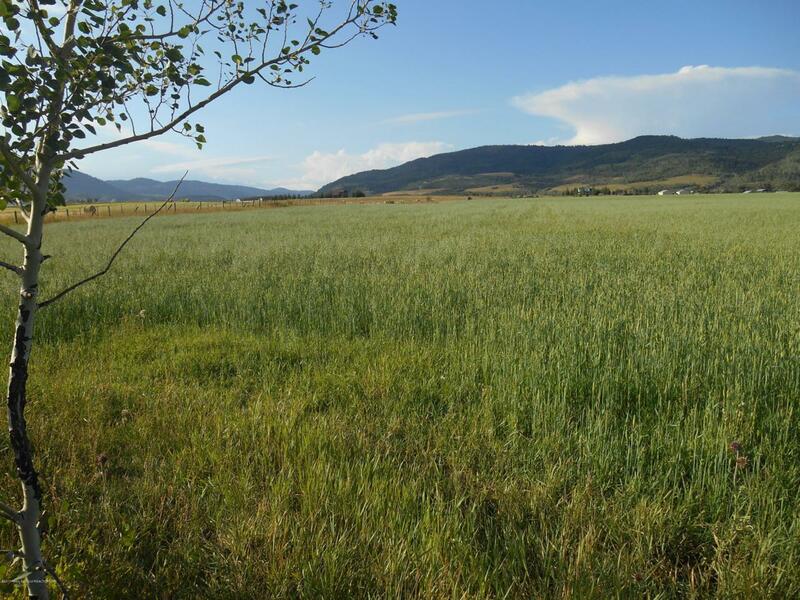 This parcel offers outstanding views to the mountains in the south end of Star Valley. Home can be placed to have great southern exposure which is a plus in the winter. There is a large area that has been planted with Blue Spruce, Norwegian Pine, Aspens, and Lilacs. These trees are just the right size to be transplanted for the landscaping of your dream home. These trees are about 10 to 12 feet tall. Trees can be sold as well. Land has Cottonwood irrigation which is a pressurized by gravity system, no pumping required. Current cost for irrigation is $22 an acre. About 2/3 of the property is fenced. Listing provided courtesy of Kelly Johnson of Aspen Ridge Realty Llc.